Classy Lassies is a group for women of all ages with an interest in crafts of any kind. Just bring along whatever you are working on and join in. Perhaps you would like to learn a new craft -there is usually someone available to help you or just call in for a chat and a cuppa. 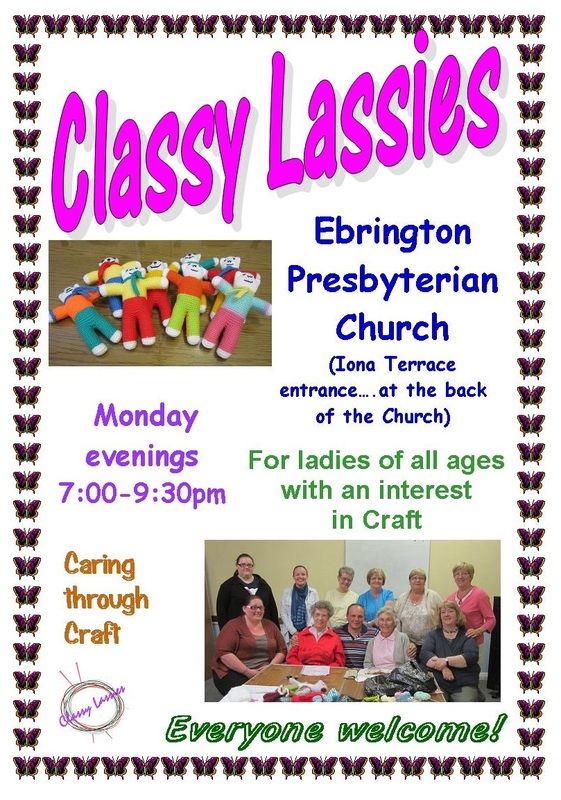 Classy Lassies meets on a Monday evening from 7.00 PM till 9.30 PM, except the first Monday in the month. You don’t need to belong to Ebrington Church we welcome ladies of all faiths or none. We provide tea/coffee and a biscuit. A voluntary subscription of £1 goes towards the cost of heat and light and supports good causes and charities that our members are interested in. Come and join us – no woman in our Church or community need ever be lonely on a Monday evening.